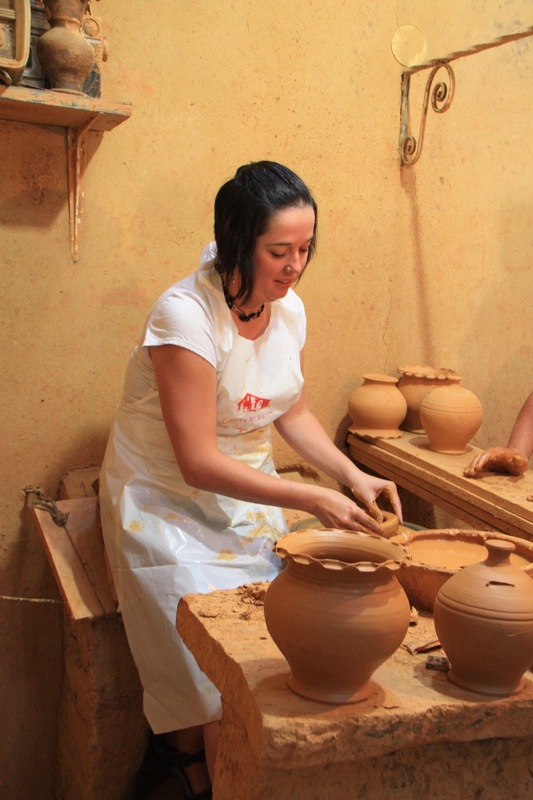 One of our favourite local museums to visit, the Alfar Museo in Jiménez de Jamuz is a working museum of traditional pottery making from this area. Jiménez de Jamuz, by tradition is a potter's village and has been for centuries. With an abundance of high quality clay, at its zenith the village had 50 potters and 30 ovens for firing their pottery. By 1980 the village had a dozen active potters. Today there are half that many. Traditionally a family business, every family member had a job: the head of the household was the potter, the women did the glazing and decorating and children helped with drying and firing of the pots. The pottery was sold throughout León at markets and fairs. Hauled in wicker baskets on the backs of horses or donkeys, the pottery was sold or traded with other villages and towns. Each area they travelled to required their own unique dishes and crockery. Jiménez de Jamuz supplied these regions with olive jars, water pitchers, pots for cooking, curing and storage, wine jugs and barrels, cups, plates and chocolate pots. There are professional potters still doing business in the village. Local family businesses, the potter is happy to give a demonstration and a tour of his studio and store. With many items for sale just browsing the displays and trying to guess what each item is used for has its charm! It is also possible to find their pottery still being sold at fairs and markets throughout the region. Happy shopping! As with any Spanish town, there is a choice of restaurants and bars. Arguably though, the most famous is Bodega El Caprico. Known for its "buey" or ox steak, it has visitors from all over the world. The privately owned Bodegas, dug into the hillsides, are a grand sight and good photo opportunity. Traditionally a place to bottle and store their wine for the year, today the Bodegas are used for family gatherings, picnics and wine storage. 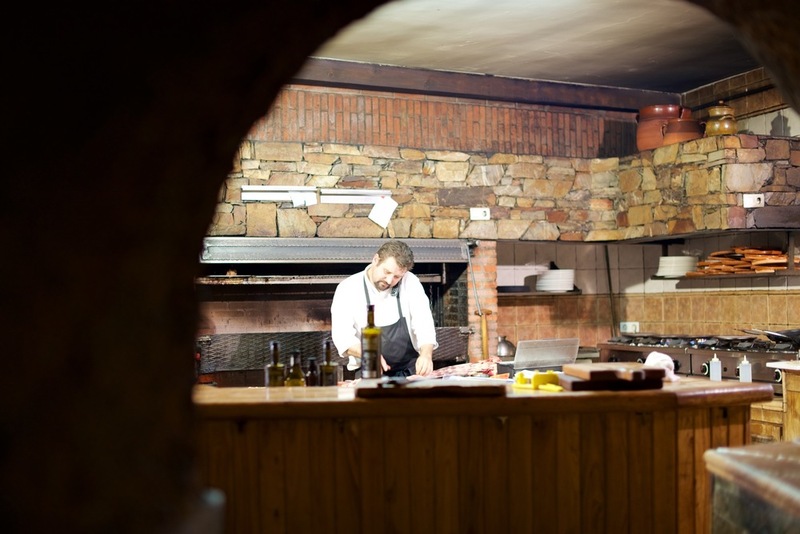 Jiménez de Jamuz is definitely worth a visit for pottery and oxen steak. Be sure to make a reservation before you go, especially weekends. The Alfar Museum has antique pottery on display along with museum history and a working potter's wheel. Part of this museum's charm is the opportunity to try the potter's wheel under Mr. Arguello's watchful eye! Learning all about temperatures, kindling and the perfect fire!